Stir all the wet ingredients with cubed ice in a cocktail shaker for 60 seconds. 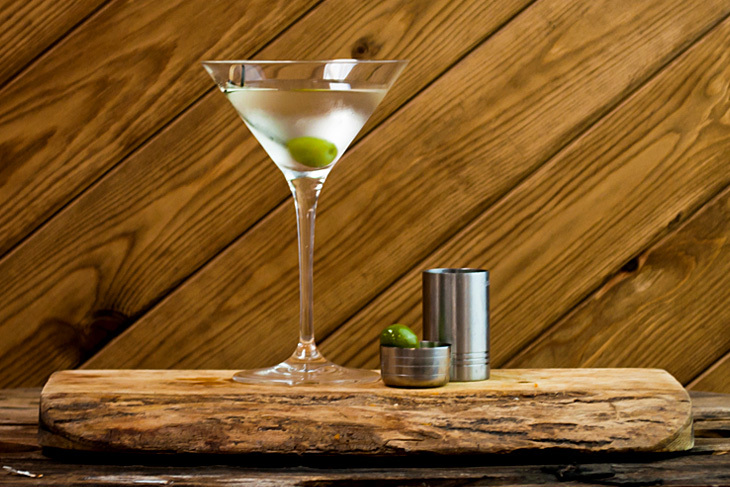 Strain into a chilled martini glass and garnish with the Nocellara Olive. The king of the cocktail world, we had to produce a version with Cuckoo Gin. We use Italian bright green Nocellara olives as a garnish – a sophisticated stone in olive with a creamy buttery texture. It tastes as delicious as it looks.